As our communities change, land use changes. Decisions that property owners make will impact our natural resources. Continued investments in conserving and promoting stewardship of our land and water resources will help ensure that future generations will enjoy the best Ohio has to offer for outdoor experiences and abundant food and water. The soil and water conservation districts aim to educate all ages about conservation through various formats: Youth, Agricultural, Urban, and General Public. 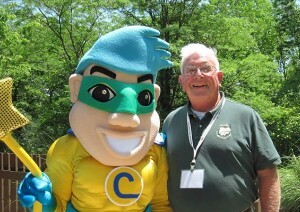 For decades, hundreds of local officials and communities have reaped the environmental, economic and political benefits of SWCD staff communicating good science. Detailing natural resource impacts at planning and zoning meetings; explaining erosion and sediment control regulations at workshops, and acting as advisor in the development and implementation of storm water management plans. The ENVIROTHON is an environmental high school competition designed to stimulate, reinforce and enhance interest in the environment and natural resources among high school students. Students are tested on their knowledge of soils, forestry, wildlife, aquatic ecology and current environmental issues. In addition, the Envirothon encourages cooperative decision-making and team building. 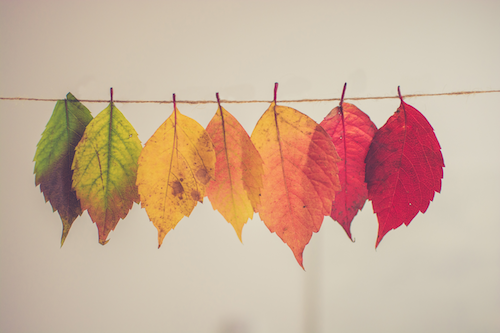 While each student on a team is challenged to contribute his or her personal best, the score that counts at the end of the competition is the team score. A team consists of five students, all from the same high school. An adult advisor (or advisors) must accompany the team, but is not permitted to assist the team during the competition. Conservation Practices and Programs: The OFSWCD works hand-in-hand with the USDA Natural Resources Conservation Services (NRCS) and Ohio’s 88 districts to ensure that federal funding is provided to complete conservation practices under the EQIP (Environmental Qualities Initiative Program), CRP (Conservation Reserve Program), RCPP (Regional Conservation Partnership Program) and the GLRI (Great Lakes Restoration Initiative) programs. The practices are diverse and assist landowners address conservation challenges that impact soil health and water quality. Soil Health and Water Quality: The OFSWCD continues to work collaboratively with the 88 SWCDs and partners, ODA Division of Soil and Water Conservation, USDA-NRCS and various commodity groups and non-profits in the area of soil health and water quality efforts. The vitality of our soils and the quality of our water directly impact life as we know it. Thus, it is imperative that we educate and promote the wise-use of these resources. We are involved in a variety of efforts that include the promotion of cover crops, grazing and other key conservation methods that reduce erosion and better protect the soils. In the water quality arena, we are involved in promoting the 4Rs or 4 Rights: Right Time, Right Place, Right Source and Right Rate as it pertains to applying fertilizer. The 4R Tomorrow program grew out of this 4R effort and was designed to educate individuals on the importance of doing the right things in order to improve water quality. And the Backyard Conservation Program, created with the National Association of Conservation Districts (NACD) and Scotts-Miracle Gro focused on mowing and backyard practices designed to improve habitat, soil health and water quality. Additionally, the OFSWCD was involved in the development of the 4R Certification Program and is a member of the Nutrient Stewardship Council. 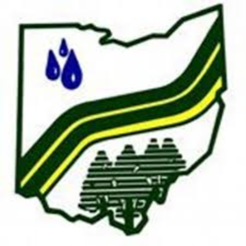 The OFSWCD is also involved in the Healthy Waters Ohio, the Appalachian Ohio Watershed Alliance, and works closely with various Conservancy Districts to ensure water quality trading initiatives continue to move forward. Ag Best Management Practices information is available on the website link below to assist the farming community. This user tool is to showcase practices on the ground and provide an overview of a large diversity of items with various information. Today’s challenges are great for SWCDs throughout Ohio’s 88 counties as a result of economic stress, rapidly changing land use, water quality, nutrient stewardship issues, and a renewed urgency to address energy needs. However, for Ohio to succeed in economic development, education, environmental stewardship, agriculture and energy production, and so much more, conservation must be a top priority. To help address these challenges and to build towards future success, the OFSWCD’s leadership academy was developed a few years ago with the assistance of The Ohio State University and the ODNR, Division of Soil and Water Resources. This program was initially designed specifically for SWCD supervisors, however is now open to our SWCD employees and conservation partners with stronger focus on day to day issues impacting districts, offering decision making tools, and providing better direction towards tomorrow’s challenges. The Auxiliary Scholarship is available to children and grandchildren of a present or past Ohio SWCD Supervisor. Applications must be postmarked by April 15 of each year. 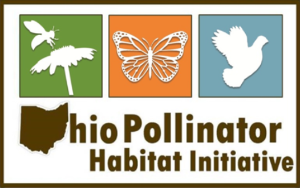 Ohio Pollinators Habitat Initiative: The OFSWCD is very involved in Ohio’s effort to improve the health and well-being of pollinators! Working in a collaborative group that involves the US Fish and Wildlife Services, Ohio Department of Transportation, Ohio Department of Rehabilitation and Corrections, Ohio Department of Natural Resources, Ohio Department of Agriculture, Ohio State Extension and many others, the effort to improve pollinator habitat is critical to Ohio’s agriculture industry and our way of life! Ohio’s 88 SWCDs are heavily involved in an effort to create and improve pollinator habitat through the collection of milkweed pods and promoting pollinator education through workshops, special events and more!